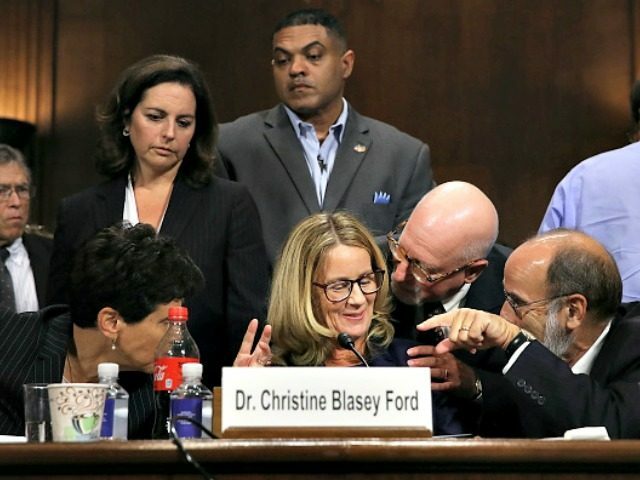 Leland Keyser, the “best friend” of Brett Kavanaugh accuser Christine Blasey Ford, told FBI investigators in recent days that Ford associate Monica McLean had pressured her to change her denial of the alleged assault, which had hurt Ford’s credibility. The Wall Street Journal reported Friday that Keyser “told investigators that Monica McLean, a retired Federal Bureau of Investigation agent and a friend of Dr. Ford’s, had urged her to clarify her statement.” McLean’s lawyer denied the claim. In a subsequent interview with the FBI, conducted as part of the week-long supplemental background investigation requested by the Senate, Keyser reiterated that she did not know Kavanaugh and did not know anything about the alleged high school party. McLean is a former FBI agent who is said to have worked as a spokesperson for Prett Bharara, a former staffer for Sen. Chuck Schumer (D-NY) who went on to become the U.S. Attorney for the Southern District of New York until he was fired by President Donald Trump shortly after the latter took office in 2017. Bharara has since emerged as one of the most vociferous opponents of President Trump in the media. Keyser’s communications with the Senate Judiciary Committee, and her FBI interview, were conducted under penalty of perjury.